This was posted to Facebook in early August. The poster is an HISD Librarian of the Year, someone who knows effective practice and has been recognized by the district..
​You may count me as a librarian but I am doing that job as well as teaching 4th and 5th grade Ancillary (writing and research) and GT pull out enrichment class every day. So, even with a Principal who values a librarian I am going to be doing that full-time job and teaching 3 hours on top of that. One way we are making this work, I will have two library classes in (for a half hour each) while I teach an hour-long Ancillary class.........yes, I am being doubled up with students. The art teacher, the drama teacher, the dance teacher, and the computer teacher have 6 classes a day and NO DOUBLE CLASSES. And they don’t have a collection to shelve and maintain. So I will see every student at least once a week for library class and then 5 GT classes and 10 Ancillary classes each week. I am looking at working 6:30 AM to 6:30 PM every day to meet the demands of being a teacher/librarian/ Name That Book sponsor. No wonder people drop out of HISD. Reading this post again in late September, so many responses come to mind that I needed to split them out for you, my readers, to choose where to begin. And where to continue. After you’ve had a chance to choose your own adventure by reading the skills, goals and impacts of effective libraries, consider how you want to move forward in your support of effective school libraries that work towards equity of access for all HISD students. 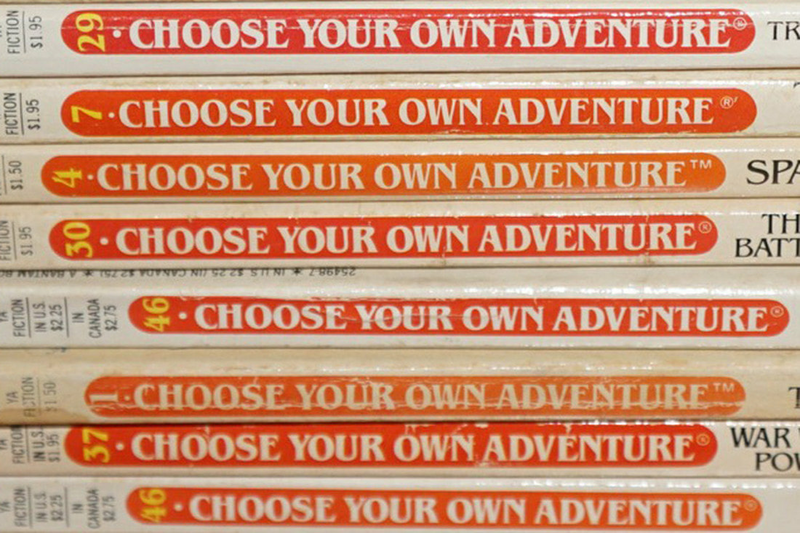 Remember that students in schools without effective libraries and collections CANNOT choose THEIR own adventures because they don’t have any books or guidance to choose them. It’s a sad comment. This older series was popular with middle grade students. Each story was written so that at least on every page, a reader could choose to follow to the next page of jump to a different plot twist. And the story worked out no matter what choice a reader made. So, which response would you like to read first? What does it take to be a certified school librarian in TX? Why does it matter in HISD? Librarians are teachers. How does our teaching expertise benefit students and teachers? What does the research tell us about schools with fully funded libraries and certified librarians? How do school libraries work against “book deserts”? How do school libraries work towards EQUITY OF ACCESS? How do school libraries support critical thinking? What are the actual savings when a library is closed?